Seen the movie but can’t quite put your finger on the similarities? 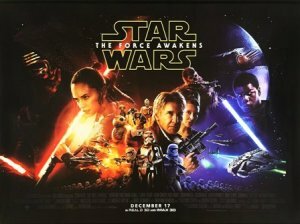 Here are 6 reasons why Star Wars the Force Awakens is just like Star Wars a New Hope. Warning: LIGHT SPOILERS ahead. Poe Dameron is on the run from stormtroopers because he has some important information. He places it in a cute little droid called BB-8 that talks with beeps and whistles. After that, he’s captured for later interrogation. Now what makes this information so important is that it reveals the location of Luke Skywalker, considered the key to bringing down the enemy. Well this scenario is exactly the same as Princess Leia attempting to escape stormtroopers and hiding some important information in a cute little droid called R2-D2 that talk with beeps and whistles. After that, she’s captured for later interrogation. And the information is important because it reveals the weak point of the Death Star, considered the key to bringing down the enemy. These guys have got to get faster stormtroopers. 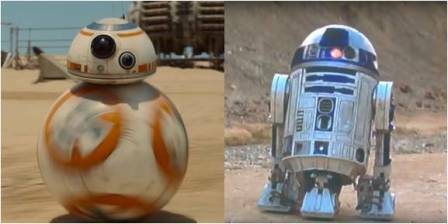 The story starts off on the desert planet Jakku where protagonist Rey, who is dressed in white and is strong in the force, comes across the BB-8 droid by coincidence. After the Empire… oh sorry… the First Order discovers that Rey has the droid, she is forced to leave Jakku… in the Millennium Falcon. Is this story arc original? Because I seem to remember a certain Luke Skywalker, dressed in white and strong in the force, came across two droids by coincidence, got discovered by the Empire’s stormtroopers and was forced to abandon his desert planet Tatooine… in the same Millennium Falcon. Adding to that, Rey and Luke both were left on their planets as children. Seems this galaxy far far away is full of terrible parents. Masked Sith Lord Kylo Ren, who was trained by and betrayed the Jedi, leads a squadron of stormtroopers to retrieve the location of Luke Skywalker. Masked Sith Lord Darth Vader, who was trained by and betrayed the Jedi, leads a squadron of stormtroopers to retrieve the plans for the Death Star. Maybe padawans should answer a short survey before they start their training. Meet Finn, the funny sidekick who hangs around with BB 8 and talks way too much. And being a stormtrooper instead of a golden droid doesn’t make it original. 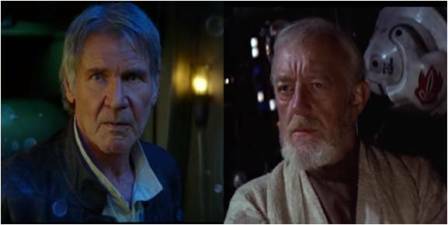 Han Solo, as crazy as it sounds, is an aged and wizened adviser who guides Rey to her true destiny. Eventually Han confronts the Sith Lord Kylo Ren and, in full view of Rey, willingly allows himself to get killed. Ever heard of a man called Obi-Wan? Well legend goes that he was an aged and wizened adviser who guided Luke to his true destiny. They say he even faced the Sith Lord Darth Vader and, in full view of Luke, willingly allowed himself to get killed. That’s right, Yoda, it happened again. Starkiller Base, a moon-sized starship of the First Order armed with a laser so powerful that it’s capable of destroying entire planets. But there’s a weak spot – an area that an X-Wing can fire a torpedo at if it flies through a trench at just the right angle. May I present the Death Star, a planet-sized starship of the Empire that was armed with a laser so powerful that it was capable of destroying entire planets. This monstrous weapon also had a weak spot, and X-Wings fired torpedoes at it after flying through a trench at just the right angle. Obviously, no one bothered to check the Jedi archives before building this thing. So these are 6 reasons why Star Wars the Force Awakens is just like Star Wars a New Hope. Can you think of any others? Let me know in the comments. 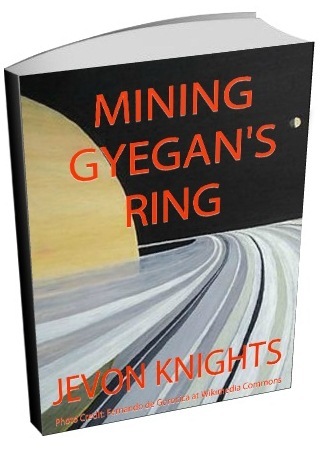 Vonrick Knights is an IT Professional and a science fiction fantasy expert from Trinidad and Tobago. He currently lives in Chaguanas, and as you can see, he's also a disgruntled Star Wars fan. You can find him on Facebook. I agree, the narrative is very similar, but it does have *some* differences. I think we’ll see the story line diverge a lot more when the next episode comes out. I liked the Force Awakens and I look forward to the next episode. While I agree that the movie itself, with all its faults was an enjoyable watch. With the amount of great stories Starwars has from the non canon universe and with the entire creative team of Disney backing them. It’s just so disappointing that they couldn’t put together something more original than a rehash of what we’ve seen before. It almost seems plagiarized and screams of fear of really moving the story forward. But as like most of the other starwars fans I to am waiting for Episod 8 with the great hope that it will be the step forward that starwars deserves and I’m praying I don’t leave the cinema thinking OMG did I just see “The Empire Strikes Back” again as I did with this movie. Yet, the movie-makers chose to do this as a purposeful strategy (it is indeed impossible to do this kind of thing by accident). 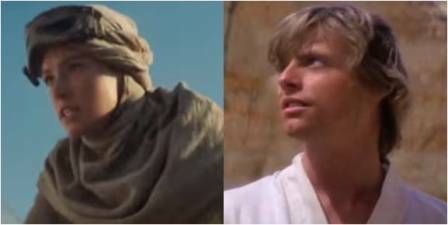 Certainly the ‘old template’ is effective [The Hero’s Journey], and it’s no big secret that the start of these two “trilogies” echo of one another. I’m not going to say your points are invalid (you’re totally right), and I’m not going to defend the movie either (though I did like it). 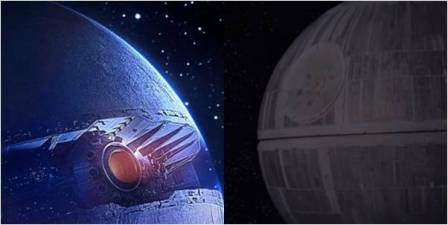 Personally I would have preferred something a bit more original as a start to the next generation of Star Wars movies. We should all remember that if J.J. Abrams (the director) had made any bold moves in terms of storytelling and reactivating the series or messing with the canon of Star Wars lore, he would forever be known as Jar Jar Abrams, which would be suicide for his career. Borrowing (is it really stealing?) elements from A New Hope was a safe move — it allowed something both familiar to the old fans and something effective to ease new people (the children of the old fans) into the series. I can see why they chose to do this. The Force Awakens was a torch being passed on, both literal and metaphorical; characters sure (Rey is the new Luke, Kylo is the new Vader, like you said), but also the film-makers themselves. New directors, new script-writers (thankfully). Now that they’ve got this Introduction Movie out of the way, hopefully we’ll see some really interesting stuff in the future.